Now these properties I had no idea existed nor that there was anything this old along this part of New Eltham. 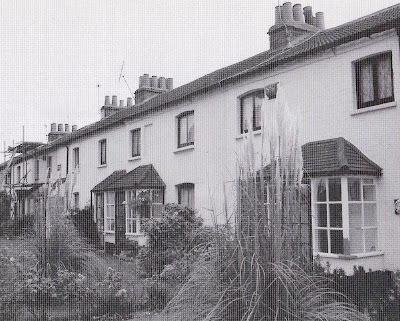 “Theobolds Cottages are on Avery Hill Road and are a terrace of old cottages, the only survivors of the hamlet of Pope Street. Despite the date 1817 on the front, they date back at least to the 1760s. And they are on Avery Hill Road just opposite Sparrows Lane, which once led to Sparrows Farm, but that is for another time.